One of the most common complaints our patients have about their smiles is crooked teeth. In many cases, patients don’t realize that making teeth straight requires both functional and cosmetic dentistry. At Meadows Dental Group, our dentists have found great success with “old-fashioned braces.” However, we recognize that many patients want an alternative approach to traditional orthodontics. We are committed to helping you find the best treatment, which is why we offer multiple orthodontic options. Our dentists provide orthodontic treatment to patients in and around Lone Tree, Highlands Ranch, Centennial and other nearby areas. With extensive experience, ongoing training and multiple options for orthodontic treatment, our dentists may recommend braces or other orthodontia for cosmetic as well as health reasons. A bad bite can make cleaning teeth more difficult. It can also lead to uneven wear of the teeth, as well as difficulty with chewing or speaking. Patients with uncorrected bite issues are also at a higher risk for TMJ disorder. The temporomandibular joint (TMJ) connects the lower jaw to the skull, and it is responsible for regulating the motion and function of the jaw. Dysfunction of the TMJ can lead to migraine-like headaches, as well as chronic pain in the face, ears, neck and shoulders. From living pain-free to looking your best, there are many reasons to consider braces and alternative orthodontics. Our dentists will fully examine your teeth to find the best option for enhancing your smile and correcting your bite. 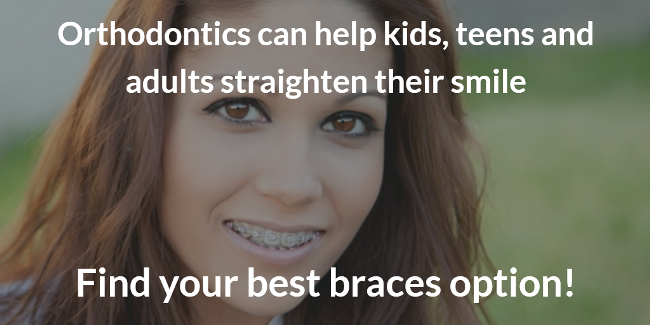 Children and teenagers are often considered the main demographic for braces. Our children’s dentists welcome kids in need of orthodontic correction. But make no mistake: Adults can benefit from braces, too! Meadows Dental Group offers Invisalign and other invisible braces, as well as traditional options. Adults might pursue orthodontic correction to fix issues that weren’t addressed when they were kids. Other patients visit us years after they got their braces to see about additional straightening because their teeth have shifted. Ultimately, orthodontics is a flexible solution for most ages. It has cosmetic and functional benefits, and our dentists will work with you or your child to find which treatment is the best choice. Treatment consists of wearing a series of custom aligners made from clear plastic. Our dentists will examine your teeth and perform a digital scan of your bite. This gives you a preview of what Invisalign can do for your smile. We will then send the scans to a lab that fabricates your aligners. Your teeth and gums should be healthy before beginning Invisalign treatment. Although you will only remove your aligners to eat and clean your teeth, you will experience no interruption to your social life, sports and other favorite activities. Invisalign is effective in addressing mild to moderate malocclusion. More significant orthodontic issues will likely require treatment with braces. Traditional braces work on a two-stage principal. Treatment focuses on straightening the teeth first, then repositioning the tooth roots. Fastbraces works differently by doing both of these stages simultaneously, reducing treatment time from several years to as little as 3 months to 1 year. The Fastbraces system uses triangle-shaped brackets and a unique square wire to address underlying issues of the bones that hold the teeth. At the same time, the brackets and wires work like traditional braces on the teeth, straightening them and correcting bite issues. Fastbraces has been around for more 25 years, so it has a longstanding track record of success. It is very important to receive treatment from a dentist who has completed training in Fastbraces, like Dr. Peppler. ClearCorrect is similar in many respects to Invisalign. It uses customized, removable aligners to straighten teeth and move the bite into optimal position. Perform a thorough exam of your teeth and bite: Our dentists will discuss what you want to change about your teeth and all of your options for doing so. Make records: We will take photos, panoramic X-rays and impressions of your teeth to send to the lab. 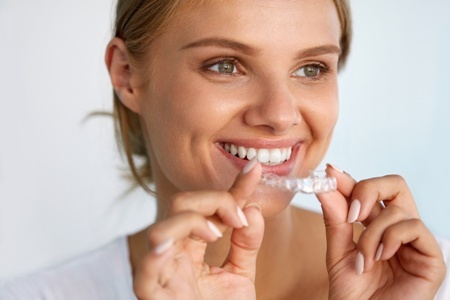 Creation of the aligners: Your treatment plan is submitted to the high-quality lab at ClearCorrect, where expert technicians will craft custom aligners. You will wear ClearCorrect aligners for approximately 20-22 hours per day, taking them out for meals and your oral hygiene routine. You can enjoy your favorite foods without issue, and ClearCorrect doesn’t infringe on your ability to participate in sports or social activities. The aligners are transparent, so only the keenest observer will notice this subtle orthodontic alternative. Our dentists will provide you with directions on wearing ClearCorrect aligners and how often to change them. You will usually wear your aligners for 2-3 weeks, with visits to our office every month to six weeks for a checkup and to receive new aligners. Depending on your needs and goals, ClearCorrect treatment can take as little as a few months to more than a year. Our dentists will perform a complete exam and inform you of the realistic time frame for your treatment, as well as discuss the best options. Many patients are pleased to learn that current designs for traditional braces are much less intrusive than what their parents had to wear – “metal mouth” is much less common today! Metal braces: The classic model for orthodontia, the metal brackets and wires gradually straighten your teeth. Kids can choose different colors to make the appliance all their own! Clear braces: Instead of metal, the wires and brackets are made from a tooth-colored ceramic material. This makes the braces less noticeable, which can be advantageous for patients who need several years of orthodontic treatment. No two patients are exactly alike. When you visit Meadows Dental Group, Dr. Peppler, Dr. O’Leary and our entire team will evaluate the health and condition of your teeth, gums and jaw to determine the best orthodontic treatment option for you. How Much Do Traditional and Invisible Braces Cost? Invisalign, ClearCorrect, Fastbraces and traditional braces all vary in price based on the specifics of your treatment plan, including the severity of malocclusion, the duration of orthodontic treatment and other factors. Dental insurance may cover a portion of a child’s braces treatment, but adults generally do not have orthodontic benefits. Orthodontia is an investment, and Meadows Dental Group wants to empower each patient to get the treatment he or she needs without having the decision dominated by insurance considerations. That’s why we offer multiple financing options and savings for our patients. If you pay for your treatment in full upfront, we offer a 5% discount. Through our partnership with CareCredit, we also offer interest-free financing for up to 1 year. Meadows Dental Group never tries to foist a specific treatment on you. Our dentists listen carefully to your goals and concerns, then we discuss the best means to improve your smile and oral health. We rely on extensive training to provide treatment with braces, Invisalign and other options. However, should your case prove to be complex, we never hesitate to refer patients to an orthodontist specializing in complicated malocclusion treatment. Schedule your comprehensive orthodontic exam by calling 303-790-2323 today. Meadows Dental Group serves patients throughout the Lone Tree, Highlands Ranch and Centennial areas.